→Can You Really Make Money With Wealthy Affiliate? There are so many people online promoting Wealthy Affiliate, but of course this does not mean it is a good opportunity. Can you really make money with Wealthy Affiliate or are the people promoting it just doing so before actually making any money themselves? Is this all just one big scam that gets people's hopes up for no reason? In this short post I'll be taking a realistic approach when it comes to making money with Wealthy Affiliate. If you are familiar with my blog here, then you know I have been a member since 2015 and actually promote Wealthy Affiliate myself… HOWEVER, I will not be giving you the typical spiel on how great and amazing it is… I'll be telling you what most people won't… It isn't all puppies and rainbows. Wealthy Affiliate is an affiliate marketing training program that has been around for quite some time. What it does is provides a step-by-step training course to teach anyone, including beginners, how to begin in affiliate marketing business with their own website online. The focus of the training, as the name suggests, is on affiliate marketing. This is when you make money online by promoting other people's products and earn commissions when you help make sales, which is a common way for online marketers to first get started because they can simply promote products that are already proven to sell. In addition to providing training, Wealthy Affiliate also provides the tools necessary to get going, such as to free websites, keyword research tool, hosting, and so on. But anyways… Onto the main point of this post… Can you actually make money? You can read my full Wealthy Affiliate review here if you need more info on this. Yes You "Can" Make Money, But Will You? I think it is fairly obvious that you "can" make money, but the real question is whether or not you actually will make money, and if so how much? You could also make money by setting up a lemonade stand at the end of your driveway, but obviously this is not going to be something worth pursuing because you will make very little money. One question I get a lot from people is "how long will it take me to start making money? ", And unfortunately this is a question that I can't really give a good answer to because there are so many variables at play here. This depends on the competition in your chosen niche, the price of the product you are promoting along with the commission percentage, how much work you put into it of course, and so much more. It seems that just about every program out there is being called a scam by some people. Now some of these, rightly so, because many are scams, but even a lot of good programs out there are being called scams. It doesn't matter what type of "make money online" program you are doing research on, you will find people calling it a scam. It could be focused on affiliate marketing, drop shipping with Shopify, selling on Amazon, and various other legitimate ways to make money online… People screaming scam is something that is going to be inevitable. While a heck of a lot of different programs out there online are scams, and you have to be very cautious, there are a lot of good ones out there as well. So why is this? Why are programs that are proven to work also called scams? Well… Because some people really do believe with 100% certainty that they are scams. These are the people that fail, and with everything there are always going to be some people that fail. It also seems that the word "scam" is thrown around a lot more loosely when it comes to online programs due to the anonymity that comes with online programs in not being able to see it in person who is really behind the operation. One thing that you definitely should know is that a heck of a lot of people fail when it comes to making money online. This goes for every program out there, or at least everyone that I have come across. Wealthy Affiliate is no different… It is a great online training program that teaches a proven way to make money online, yet a large number of people do end up failing. So why do so many people fail? This method takes time… There is no way around it. Everyone wants immediate satisfaction, but you will not get that with Wealthy Affiliate. This of course leads to many people giving up early and is no doubt one of the major reasons that people fail. You can't really expect to make money within the first month… It just isn't realistic. And even if you have followed the training for two months without any income coming in, this still isn't really all that uncommon. I see this quite a bit… People get a little bit too excited with their affiliate links and start throwing them all over their website, making a spammy mess that no one wants to see. This never works out. Visitors going to your website do not want to see that and will realize that you are just trying to make money off of them… So they want click on your links and thus you will not make any money. Not to mention that Google dislikes this kind of stuff and you may see it affect your rankings negatively, which is a massive deal. When you first get started one of the first things you will do is choose a niche. This will be the topic you choose to build your website around and it is very important that you choose wisely. 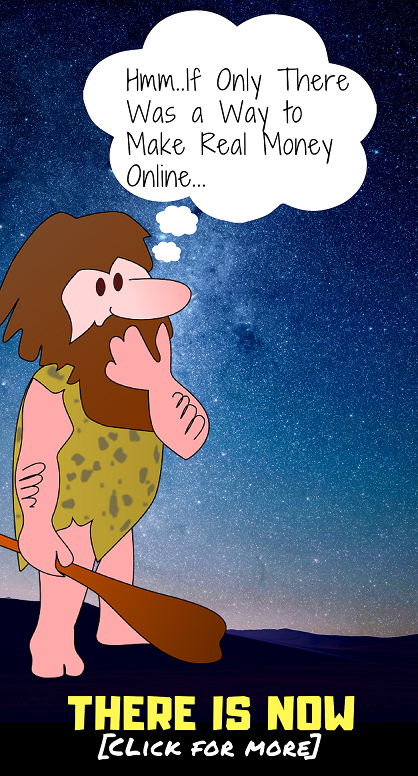 You have to think ahead when choosing your niche… What products will you be able to promote that are related to it? There are almost always products to promote, whether it be a physical product or a digital products such as an e-book, but some niches you will definitely find it more difficult than others. If you are familiar with Wealthy Affiliate at all, then you know that the business model it teaches is focused on content. Content is king and you will be writing a lot of posts/articles for your website and your particular niche of choice. You by no means have to be an expert in any niche, nor do you have to be amazing at writing, but you do have to put some effort into this. I have seen people that write the most awful posts, often full of overly promoted affiliate links, and expect to make money. And going even further, I have also seen people who try to cheat the system by copying and pasting, which is something that will never work. This is something that I have often wondered myself, yet I have no idea the actual statistics are. There is no doubt a fair number of people fail at Wealthy Affiliate and end up giving up in the long run, but I really have no way of knowing or measuring this. All I know is that yes… A lot of people do fail and this is something that you should keep in mind. How Much Money Are People Making & From What? There are lots of examples I could give from people failing and complaining that this does not work, but I also give hundreds of examples from people who are actually making good money and have seen success with what Wealthy Affiliate teaches. 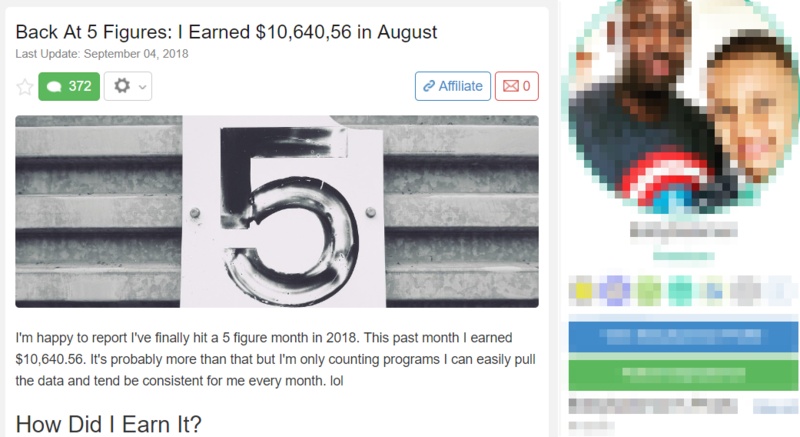 *I have linked to these screenshots to the actual posts inside Wealthy Affiliate, so just click on them if you want to read the full posts to learn more. There are many different success stories out there, and I also like to point out that I too have made over $500 in a single day before, although I typically do not earn this much. Where are people making money? Of course just showing you some screenshots from people who claim to be making a time money isn't enough… You need to know where people are making this money. Unfortunately this is something else I can't really provide all that good of an answer to. There are so many different places that people are making money, it would be a waste of time to try to explain this. Right now I am making money from probably over a dozen different sources, ranging from promoting health products to sunglasses to Wealthy Affiliate to advertising via Google AdSense and more. The possibilities to what you can make money with are seemingly endless. Is There a Way to Guarantee Success? If there is a way to guarantee success than I am unaware of it. However, you can definitely increase your chances of success by being consistent with your work. Consistency is important. As I've already discussed, giving up too early is easily one of the main reasons for failure when it comes to this method for making money online. It is a slow process and many people give up early on because they do not see any money coming in, so they assume that it either doesn't work or is a scam or something like that. Sure, some people do get lucky in the land on a goldmine right away, but the large majority of people don't, including myself. I started out at Wealthy Affiliate in late 2015 and didn't end up seeing success for a while. There are plenty of times where I contemplated giving up, and came very close to it at times, but ended up sticking around and eventually making a little bit of money… Then a little bit more… And eventually making a living at it, which is where I am at now. When I started my very first website was in the fitness niche. I wasn't aware of all of the competition at the time, and soon found that my small site was no match for large companies like Health and Fitness, Men's Health, and so on. Looking back at it, I probably could have made some decent money in this niche if I had stuck with it, but at the time it seemed like just way too much competition with no room for me to make any money. Fast forward to today and I have multiple websites, I two that promote natural health products and several others, one of course being my blog here where I mainly promote different "make money online" opportunities such as Wealthy Affiliate as well as promote some other random products. The Wealthy Affiliate training program and the focus of the training is a very low cost compared to what you see with a lot of other programs out there, especially considering what you get as a member, which includes website hosting, SSL certification, 24/7 tech support, and of course all of the training. Additionally, the training at Wealthy Affiliate focuses on free traffic generation methods, mainly on SEO, which is great for people looking to get started without spending much money. You can load your money really quickly when it comes to paid advertising if you don't know what you are doing, which is a big reason why paid advertising can be a disaster for beginners. Affiliate marketing, which is the focus of Wealthy Affiliate is training, is obviously a sustainable business model that is here to stay. It isn't going anywhere and I know a lot of people who have been making a living as affiliate marketers for over a decade. This is something you can bring and study money with if you know what you're doing. And the last reason that I will mention is that it is "easy" for beginners to get started with. Now I am saying it is "easy" with quotation marks, because of course a lot of people fail… So how easy can it really be? The reason I say is easy is because I do consider it to be easy compared to the many other methods to making money online that are out there. Just think about it… There is no need for creating your own product because you just promote products that are already out there. There is no need to deal with returns, customer service, etc. because again, you are actually selling the product you are just promoting them. Ecommerce is something that I was involved with for over two years, and while I did have some success with that, I can definitely say that affiliate marketing is more suitable for beginners. Affiliate marketing is actually how a lot of online marketers get started which makes perfect sense. Well, like I mentioned, Wealthy Affiliate is where I got started and I know from experience that it works. 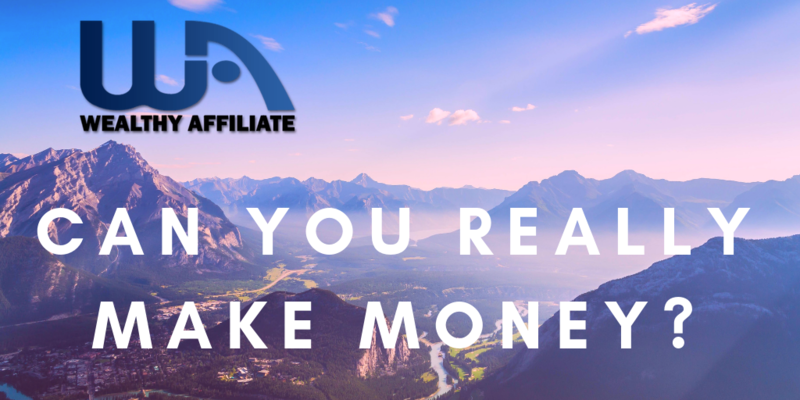 I have looked into quite a few other affiliate marketing training programs out there, and while some others are good, Wealthy Affiliate is definitely one of the better ones, and my opinion the best. One of the major differences that I have noticed with Wealthy Affiliate is the whole community aspect to it all. With many others they have their training laid out for you, but there is no good way to interact with other members and get help. At Wealthy Affiliate the community is very lively it is very easy to get help from people who have been doing this for years, such as from me. And of course the step-by-step training is great along with the tools that are provided to you. I mean, if you going to join why not get some extra help from someone who does this stuff full-time? 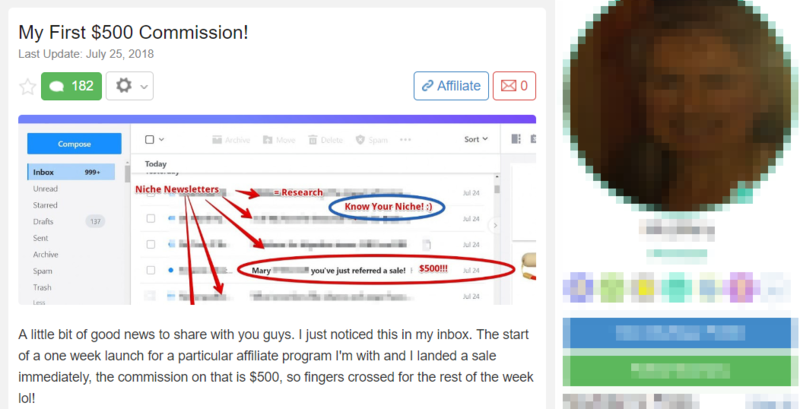 Yes, I will get credit for you joining through my referral link and I will make a commission off of it, but this just gives more incentive for me to help you stay around and succeed. I'll be checking in on you regularly and helping guide you along the way. This is a little bonus that most people who join do not get.